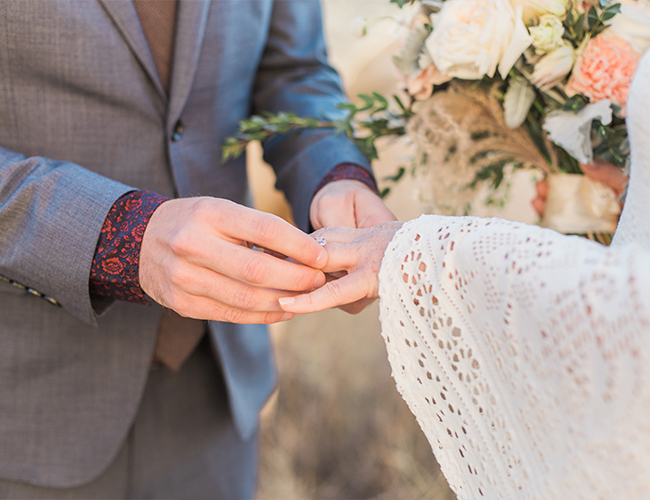 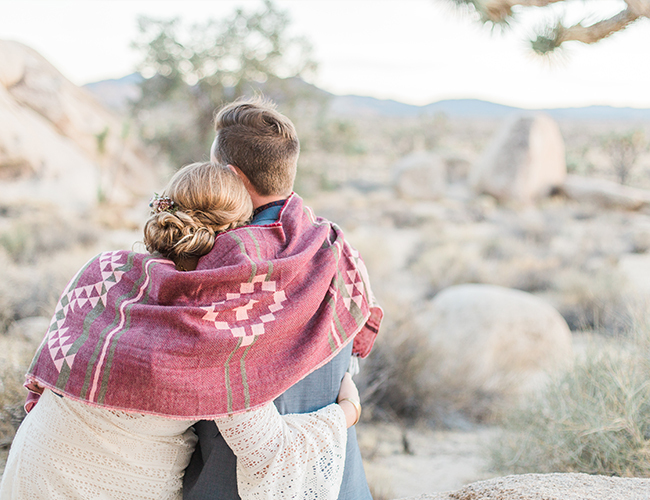 Sometimes eloping is the only thing that makes sense for a couple. 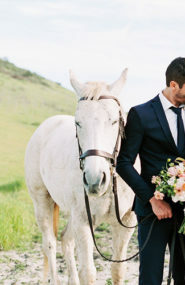 That was just the case for this long-time engaged duo from San Fransisco. 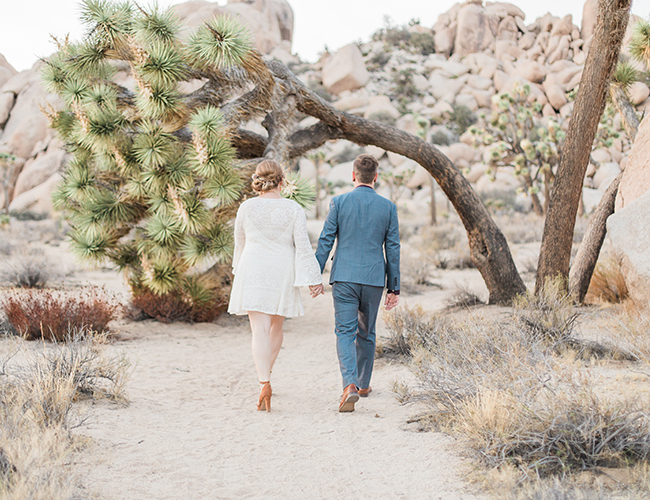 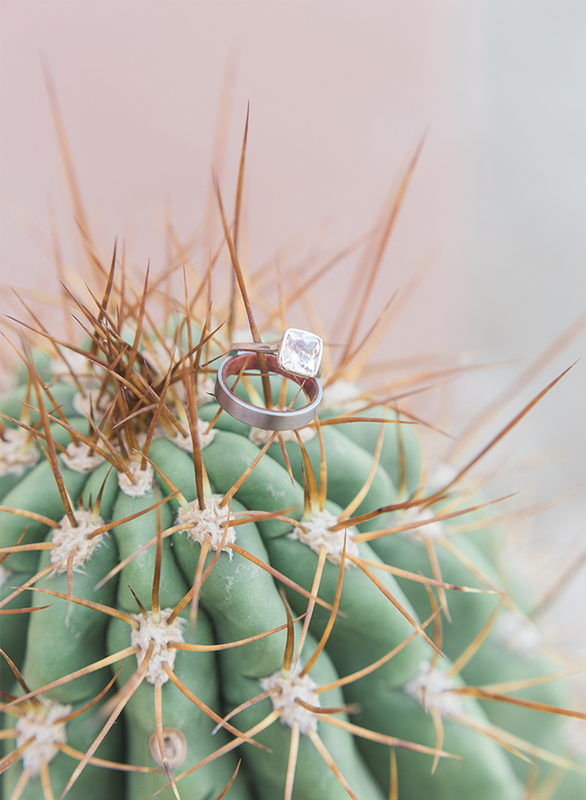 After a 6 year long engagement, Kira and Andrew decided on a bohemian Joshua Tree elopement and said ‘I Do’ in a matter of weeks. 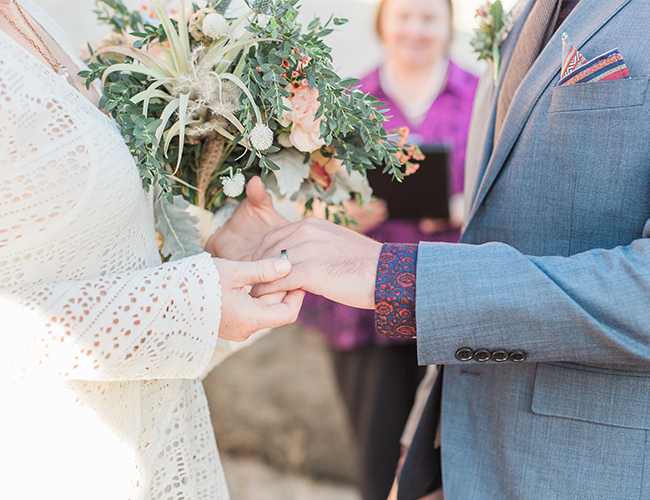 And it was the perfect fit. 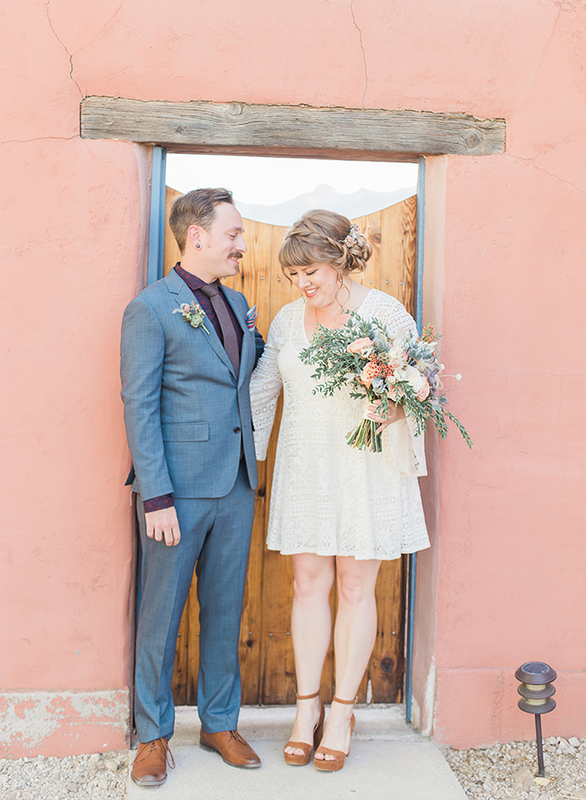 The intimate ceremony between them, their officiant, and photographer Gilian of L&B Photography will tug at your heart strings. 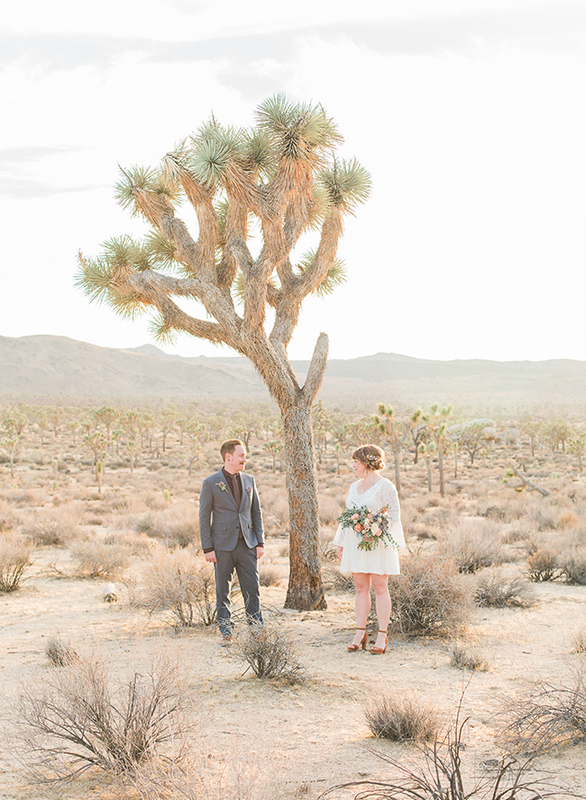 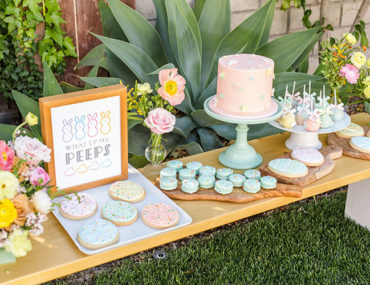 Plus, the incredible natural backdrop will have you wishing for a desert getaway! 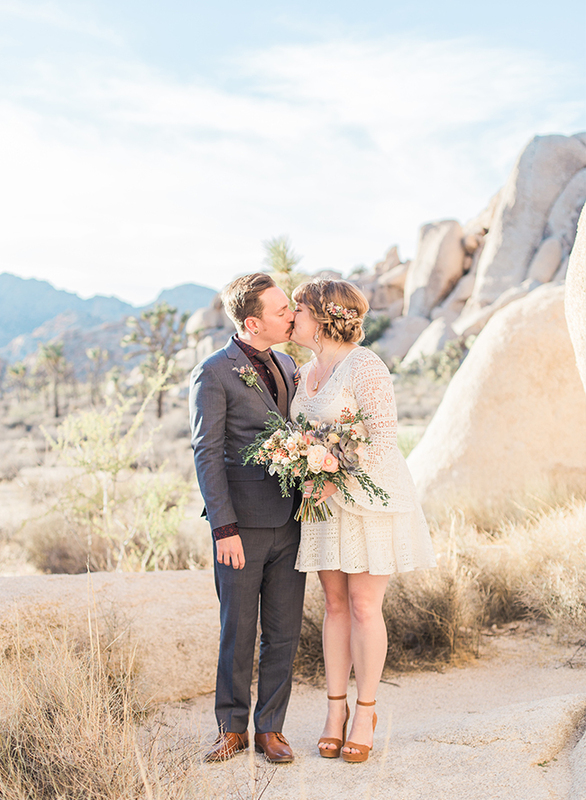 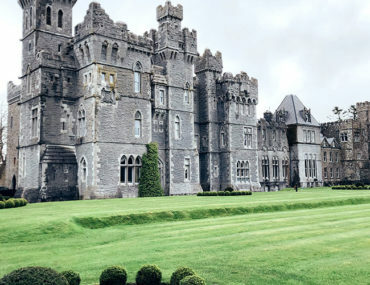 And maybe their story will inspire you to set a date and elope too! 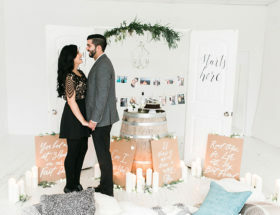 Kira and Andrew had been engaged for 6 years. 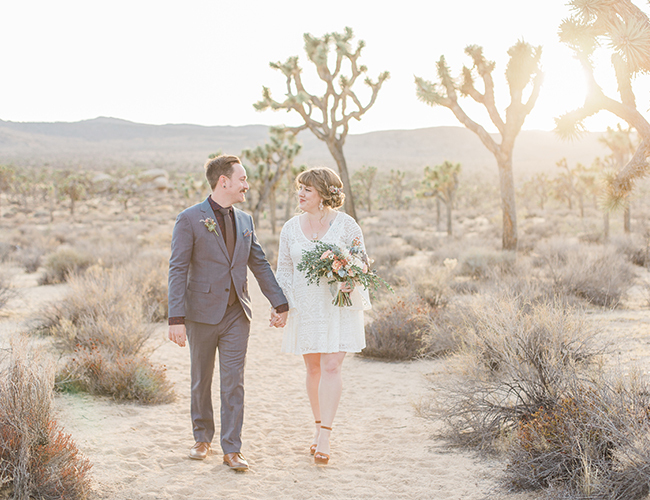 Living in San Francisco, they both love the tranquility and quiet of the desert and hiking. 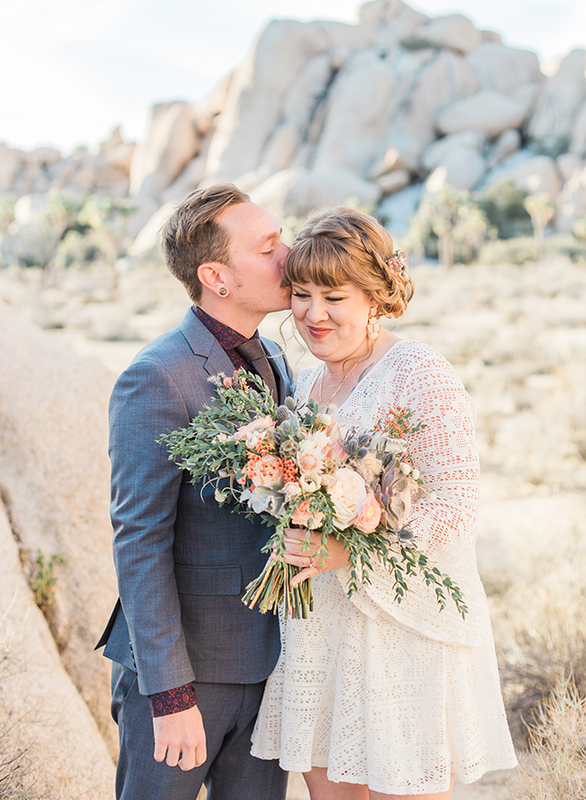 They had planned a trip to Joshua Tree and Palm Springs as a vacation, but 3 weeks before their trip they had a great idea to finally get married by eloping in Joshua Tree. 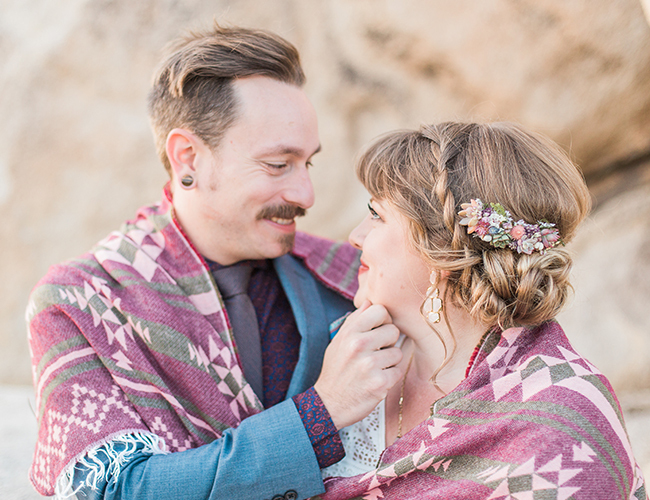 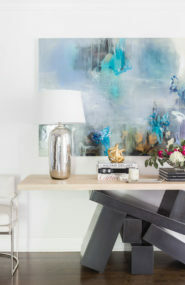 They both wanted a more bohemian vibe that allowed them and the beauty of Joshua Tree to be front and center. 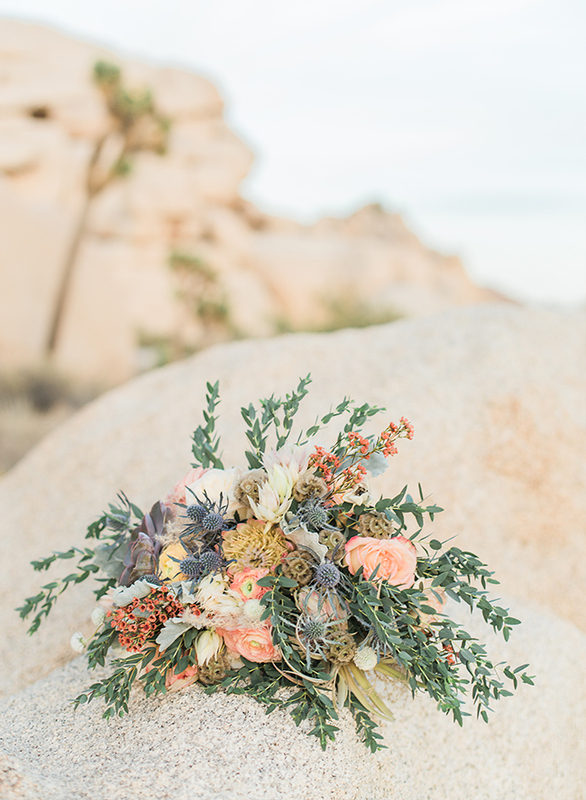 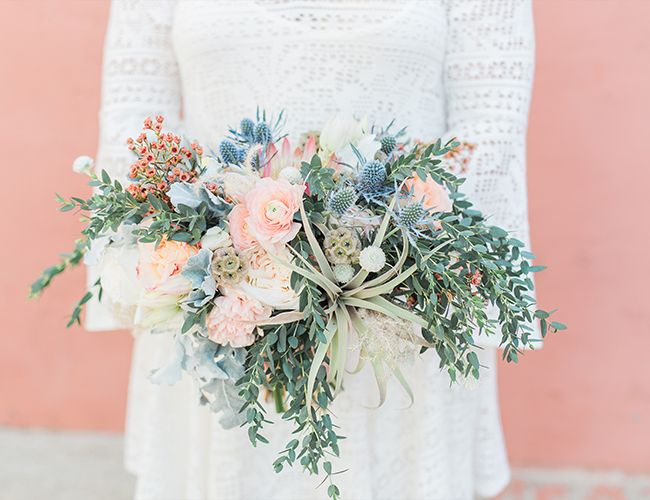 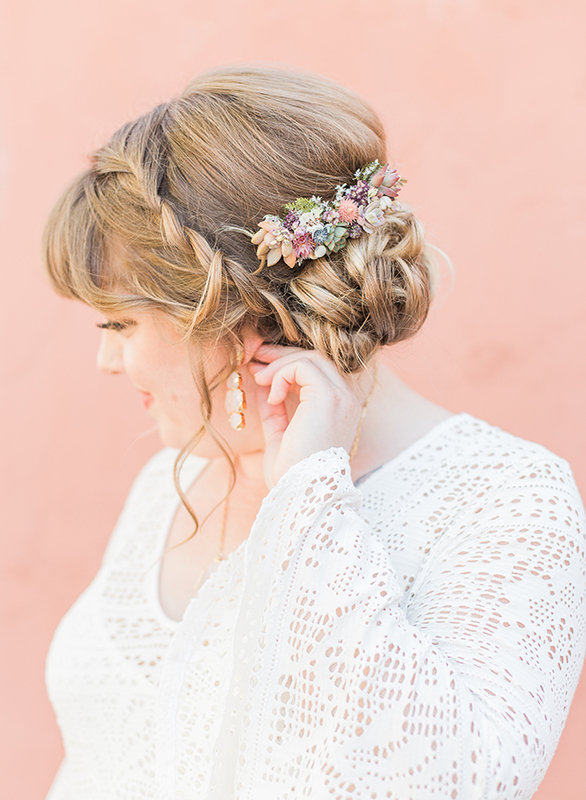 Kira wore succulents in her hair, a short white dress with bell sleeves and had a stunning bouquet inspired by the desert sunset. 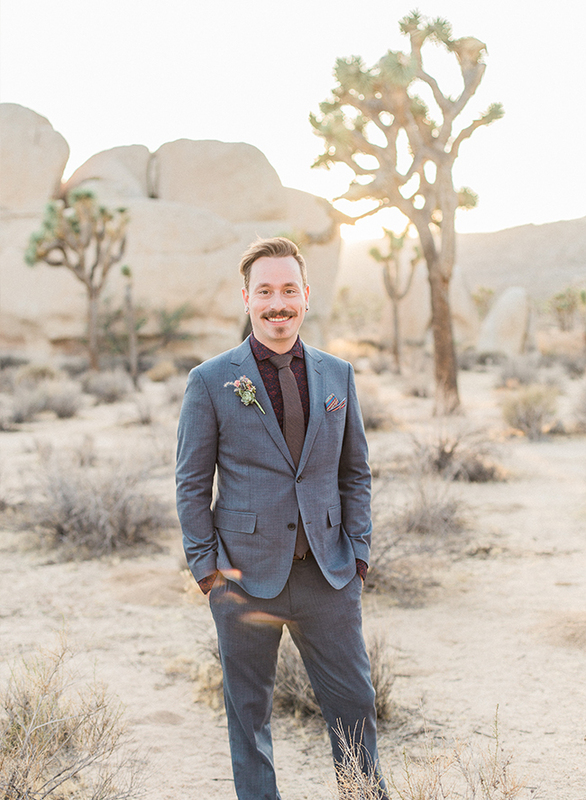 Andrew look so dapper in a blue suit with a succulent boutonniere and a paisley pocket square. 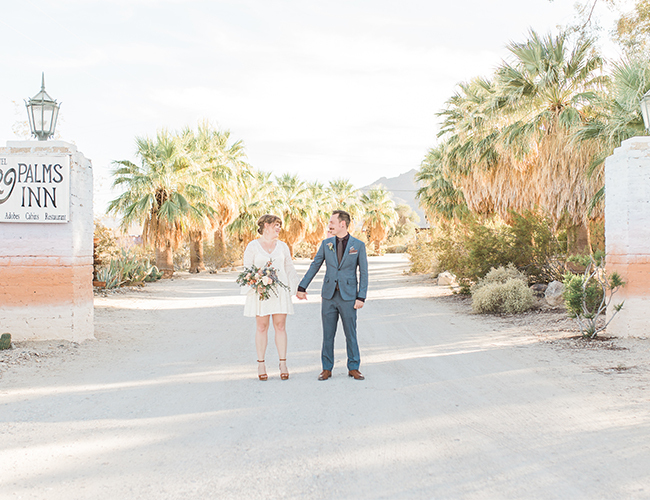 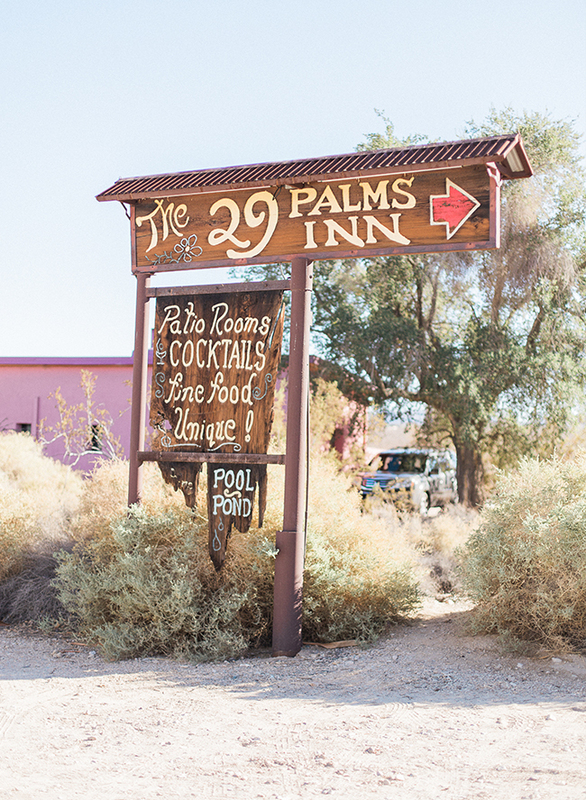 They stayed at the Historic 29 Palms Inn, hiked though Joshua tree and and then ventured on to Palm Springs as their honeymoon.